We are overwhelmed and thrilled by your feedback and enrollments for Summer 2018. 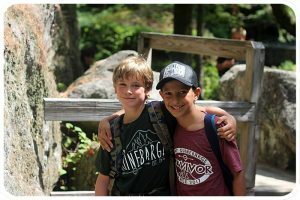 Our enrollment numbers for next summer have already passed where we were on March 24, 2017 – if you haven’t already, please take time to register your camper this weekend at campquinebarge.com. It is just a $500 deposit, fully refundable until January 31, 2018. Our special 2018 pricing is good through October 31st. If you received a scholarship last year and require one again for 2018, we need to hear from you right away. Our limited need-based scholarship funding is first come, first served, and will run out.